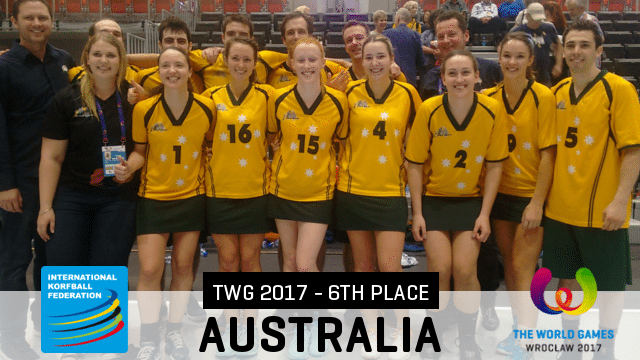 The Netherlands were unsurprisingly victorious in the Gold Medal Match, while Australia finished in a commendable 6th, our equal-highest placing at a World Games for some 20 years. This is a huge credit not only to the players in the team, but also to all of the support staff, both on tour and at home, as well as all the family and friends of everyone involved, whose support made the fantastic final result possible. The scores of all ranking matches (as well as the scores for all matches) can be found on the National Team hub. Also available are the complete scoring stats for the Australian team for the tournament. Congratulations to the Netherlands, well done to our own National Team on an amazing result, and thank you to everyone who supported the team in any way shape or form over the journey, not just during the tournament proper.